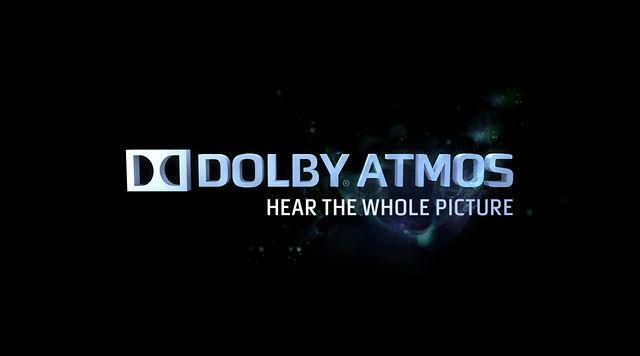 As with several other companies lately, Pioneer is announcing the launch of new products that bring Dolby Atmos technology home. Oddly, the 5.1 system doesn't feature Atmos' trademark overhead speakers, but rather a extra top-facing speaker on the top of the SP-EBS73-LR bookshelf and SP-EFS73 floorstanding speakers. Pioneer Electronics (USA) Inc. today launched its Dolby Atmos®-enabled Elite speaker system that delivers captivating, multi-dimensional sound into the home with Dolby Atmos. Consisting of the SP-EBS73-LR bookshelf, SP-EC73 center channel, SP-EFS73 floorstanding speakers and SW-E10 subwoofer, the Dolby Atmos-enabled speaker system was designed by Pioneer's chief speaker engineer, Andrew Jones. The bookshelf, floorstanding, and center speakers utilize a true 3-way design concept using 5-1/4" aluminum woofers, 4" aluminum midrange, and 1" soft dome tweeter that results in incredible audio performance. To bring the Dolby Atmos experience to life, the SP-EBS73-LR bookshelf and SP-EFS73 floorstanding speakers include an additional 4-inch CST speaker integrated into the top of each enclosure providing height information without the need for separate ceiling speakers. "Our Dolby Atmos-enabled speakers allow for a customer to enjoy a full Dolby Atmos experience with the same footprint as a traditional 5.1 channel system simply by adding four more speaker wires to deliver a sonic experience overhead." "With Dolby Atmos, audio technology has finally caught up with today's visual advancements of 3D or even 4K," said Chris Walker, director of AV product planning and marketing for the Home Electronics Division of Pioneer Electronics (USA) Inc. "Our Dolby Atmos-enabled speakers allow for a customer to enjoy a full Dolby Atmos experience with the same footprint as a traditional 5.1 channel system simply by adding four more speaker wires to deliver a sonic experience overhead." With Dolby Atmos, sound comes alive from all directions, including overhead, to fill the home theater with astonishing clarity, power, detail, and depth. Pioneer's Dolby Atmos-enhanced Elite speakers (SP-EBS73-LR bookshelves and SP-EFS73 floorstanding speakers) and Elite SC series home theater receivers that are Dolby Atmos upgradable via a firmware update available by the end of the year, truly deliver this experience. From the ground up, Andrew Jones engineered a home theater speaker system that incorporates Pioneer Elite-developed concentric drivers. The technology produces outstanding audio accuracy and multi-dimensional sound to provide an unmatched Dolby Atmos experience. The heart of the Elite Speaker System is the Pioneer-developed CST driver embodying a single point source concept; the midrange and tweeter speakers are configured coaxially so that their directional characteristics conform. Utilizing a 4-inch aluminum cone, the midrange has a first break-up mode at a high 8kHz, ensuring pure "pistonic" motions throughout its operating range. Combined with a 1-inch soft dome tweeter for smooth extended treble, the resulting performance remains consistent over a wide listening area and ensures extremely stable sound localization and a natural sound field. The speaker incorporates a 5-1/4-inch woofer that utilizes an aluminum cone and an inverted aluminum dust cap for improved strength and a true pistonic motion throughout its operating range. Combining the woofer with a large 1-½-inch diameter long throw voice coil and an oversized magnet with a vented pole piece results in a bass driver with high-power handling for maximum dynamics and impact. SP-EBS73-LR Elite Bookshelf Speakers - The Elite Bookshelf Speakers are suitable for use as either the main front-channel or rear-channel speakers in the most sophisticated surround-sound system. Unlike other conventional bookshelf speakers that compromise performance with a two-way design, which requires the bass driver to reproduce a range of frequencies beyond its capabilities, Andrew Jones designed the Elite Bookshelf Speakers to be a true, three-way design, so each major frequency band is reproduced via its own dedicated front firing high-, mid-, and low-frequency driver. Integrated into a sloping top panel is an upward firing CST optimized specifically for reproducing the Dolby Atmos height channel audio information. SP-EFS73 Elite Floorstanding Speakers - The Elite Floorstanding Speakers are designed to deliver big sound from a small footprint. Utilizing three 5-inch bass drivers for a truly precise extended and dynamic bass performance along with the CST, its three-way design produces shimmering highs, detailed midrange, and a truly authoritative bottom end output. Like the bookshelf model, the sloping top panel includes an upward firing CST specifically optimized for reproducing the Dolby Atmos height channel information. SP-EC73 Elite Center Channel Speaker - The Elite Center Channel Speaker employs the same CST and bass driver from the bookshelf maintaining a consistent sound signature for the critical center channel. A front mounted 5-inch passive radiator replaces the rear vents used on the bookshelf and floorstander models, allowing the center channel to be positioned close to a wall or mounted into a cabinet or entertainment center. SW-E10 Elite Subwoofer -Pioneer's SW-E10 subwoofer provides extreme low bass for the system with maximum impact and accuracy. The model's 10-inch long-throw woofer uses a 2-inch diameter high-power voice coil allows for one inch of peak-to-peak linear movement of the cone for maximum output capability. An integrated BASH® Amplifier provides 600 watts of peak power (300 watts RMS) and features DSP processing resulting in deep and accurate bass. Pioneer is the first manufacturer to offer both audio video receivers and a matching speaker system designed specifically for Dolby Atmos. The Dolby Atmos upgradable Elite SC AV receivers incorporate key technologies that make it possible to truly produce the Dolby Atmos experience in the home1. Pioneer's Home Electronics Division develops award-winning audio and video home theater products including A/V receivers, Blu-ray Disc™ and DVD players, and speakers. The company's brands include Pioneer® and Elite®. More details can be found at www.pioneerelectronics.com.